OAK 311 has received this issue. Your service request ID is #897626. Please check back for status updates, or contact us directly at 510-615-5566. OAK 311 has received this issue. Your service request ID is #897611. Please check back for status updates, or contact us directly at 510-615-5566. OAK 311 has received this issue. Your service request ID is #897161. Please check back for status updates, or contact us directly at 510-615-5566. 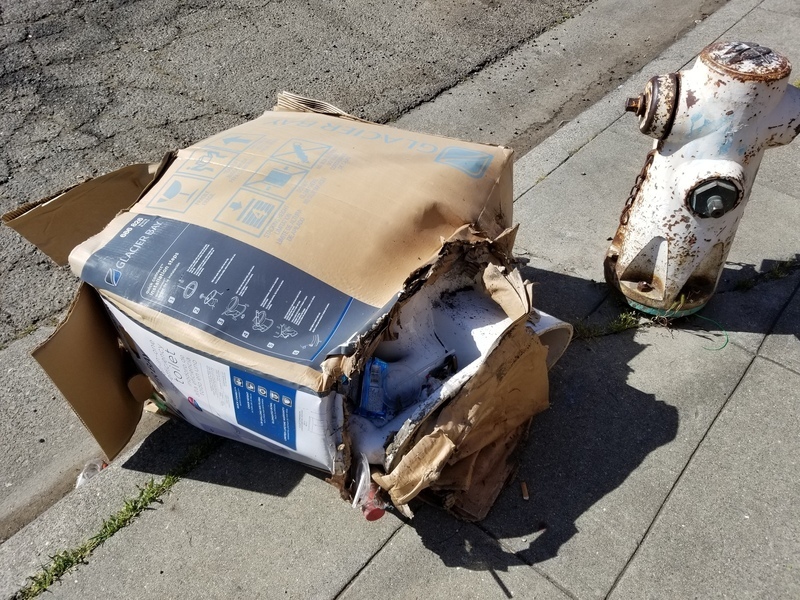 The City of Oakland addressed this issue on 04/21/2019, service request #897161. OAK 311 has received this issue. Your service request ID is #897162. Please check back for status updates, or contact us directly at 510-615-5566. The City of Oakland addressed this issue on 04/21/2019, service request #897162. Tires, car parts, overturned garbage bin, and who knows what else, dumped on the corner of 76th Ave and International Blvd, yet again. OAK 311 has received this issue. Your service request ID is #897366. Please check back for status updates, or contact us directly at 510-615-5566. Badly damaged vehicle has been sitting for 2 weeks. Front windshield shattered, badly damaged front end. OAK 311 has received this issue. Your service request ID is #896094. Please check back for status updates, or contact us directly at 510-615-5566. Someone finally showed up and moved this car on Friday 4/19/19. OAK 311 has received this issue. Your service request ID is #896633. Please check back for status updates, or contact us directly at 510-615-5566. The City of Oakland addressed this issue on 04/20/2019, service request #896633. OAK 311 has received this issue. Your service request ID is #897277. Please check back for status updates, or contact us directly at 510-615-5566. Abandoned Honda Civic for over a week. OAK 311 has received this issue. Your service request ID is #863895. Please check back for status updates, or contact us directly at 510-615-5566. OAK 311 has received this issue. Your service request ID is #897151. Please check back for status updates, or contact us directly at 510-615-5566.